And two of my open latin routines are on the floor! Some poeple can grow a human in 9 months. I can’t, so instead I grew 2 latin routines to initial performance level. The showcase last night went really well, but instead of just talking about it, I am going to show you. First, we did the open Cha cha then we did the open rumba. It felt so good to be performing. I really didn’t realize how much I have missed preparing for a goal. We decided to do the cha cha just over a month ago, and added the rumba 3 weeks ago. I was really amazed how much we were able to polish up the routines in that short amount of time – especially as prior to that we hadn’t even tried either in time with the music. I could go into multiple details about what was wrong with them – little stumbles, legs not quite straight, some strange styling – but that was not what last night was about. Last night was about getting back on the floor, knowing I worked hard and taking the time to just enjoy dancing and presenting two challenging routines to a local audience who haven’t seen me perform since 2016. I was approached by one of the local social dancers after the showcase and what she told me really stuck. She told me she really enjoyed watching me perform last night because she could see the pure joy I was experiencing being on the floor. It really stuck out because she has seen me dance through my entire cancer journey and when it became known I had cancer she was one of the first to approach me and share that she too had battled cancer and won. Her sharing that with me helped me to realize I too could win this battle. Sadly, last night she shared she is once again battling and will be doing a form of chemo for the rest of her life. But to know that seeing me back on the floor and doing what I love meant a lot to her really touched me. Cancer has not been nice to the dancers in my community. But we keep fighting and supporting each other to overcome it. 2 of 9 routines now on the floor! I am sure the others will follow in the new year after I get back from this upcoming extended work trip. I reminded myself of something last night I hadn’t realized I had forgotten. It’s easy to always declare new routines ‘not ready’. The truth is that they are never ready, but at some point they need to be put on the floor so the next steps for them can be determined. Ready for the next steps in cha cha and rumba now. I spent a big part of my lesson learning how to bow today. It seems so simple. Don’t we all learn it as a kid? Well, apparently not dancesport style. As we get closer to the performance on Saturday it is time to sort out these little details. The routines we are doing are meant for competition, but this is going to be a bit of a show. Among other things, we had to figure out what to do for an opening and closing. We kept it simple in the end, but I think it will work. As I said, the trickiest part was sorting out how to make the bow works. Other than that the main focus was on running through the routines and cleaning up a few areas that needed a little more work. One of the things we had to do was sort out how I was responding to the lead in a few places. Especially when the lead is on my right side, I have a tendency to lock up and restrict my movement, which then makes is really difficult for Boss to lead me through steps, especially if I have to turn anywhere. It took some experimenting, but in the end what worked was just relaxing in some spots and letting my arm go, and in others moving to the step when I felt the lead. It will work for now, and I am sure there are other spots we need to work out. The routines are not going to be perfect by any stretch of the imagination, but they will still look good and be passable. Considering this is the first time we will dance them, I feel pretty good about where they are right now. I think Boss is pretty happy with them too. He was saying today that on Wednesday he plans to do some work on the other routines as we want to record them before I head to Ottawa at the beginning of the month. The next two weeks are going to be pretty crazy, but I am just taking it one day at a time and looking forward to the performance this weekend. Until then, its the finishing touches to build on the foundation we have. So it appears we will be performing in two weeks. We are focusing on latin and we will do the cha cha routine for sure, but we are also working on the rumba and will probably do that as well. It’s a showcase for another local studio that Boss’s studio has been invited to participate in. It presented an opportunity for us to perform just before I leave for the rest of the fall, and gives us a goal for getting two routines ready to perform. It just makes sense, especially since other than a really brief and quick demonstration back in July we haven’t done any competing or performing since last October. Both routines are actually not in bad shape right now. The cha cha we are able to get through in time with slow music and the medium music has only a couple of bumps but doesn’t completely fall apart. Since the last time we ran it in full, we have worked out almost all of the bumps, and most of the styling. In the end, the routine has only two major spots where arm styling is a concern and I have been working on them pretty hard. The big thing we have been focusing on in the cha cha is the lead and follow as that is key to getting the turns on time and executing quite a few of the steps. It’s actually pretty together right now, but needs some polishing and running through a few more times to hopefully lock it down. I have actually really enjoyed the concentrated focus on the cha cha routine to pull it together and it confirms for me that agreeing to do the performance has been the right thing to do to move some of the routines to the next level before I leave. We started digging into the rumba on Monday. It’s actually also not in a bad place, but it also has a few bumps to iron out and we really need to go over the styling in detail. We ironed out one of the biggest bumps in the middle of the routine yesterday, taking the whole lesson, but it was time well spent as we were able to go through that section in time with the music several times. The key to the rumba right now seems to be the timing. Its tricky because it varies quite a bit and there are holds and pauses for development – some of which are one bar, some are two. The trick is remembering how long to develop at what part. The styling will also be tricky, especially some of the transitional pieces. I already accidentally clobbered Boss in the face yesterday in a combination of not getting my arm high enough and him having his head a little forward. Some of the hold changes are also tricky. One of my biggest concerns about the styling is that I am not very good at developing some of the lines and some of them need a lot of very specific movements I just can’t seem to make work for me. One of the key parts of the routine has me do a double turn to roll-out into a side lunge stretching away from Boss. When I hit the lunge, I need to make sure I have reconnected with Boss after turning on my own and after I stretch away I am supposed to melt. I don’t melt very well. I really think we need to considering another way of styling that step, whether it is to stretch it a little longer and then turn in for the transition which is to a pivot to a lunge done together. I hope it is something we look at a bit closer very soon. I know I can do a good stretch because we have done one in a previous showcase routine. For both routines, it really is about polishing right now, minus a couple of timing and step bumps to work out. For the cha cha, I need to make sure I add more power and speed to my turns, and the rumba is about the timing and not rushing. I don’t feel relaxed about performing, but I am not feeling overly stressed about either routine not being ready. At least not yet. We will see how I feel in a couple weeks. The focus on latin and the details has really been interesting over the last week. I’ve really enjoyed what we have been doing and actually been surprised at how things have come together. I feel really good about the work we have done and while I know neither routine will go perfectly, I am starting to look forward to performing. I have missed it more than I realized. We recorded some videos yesterday. Exclusively standard, we recorded the Waltz, Foxtrot and Tango line by line to make the best use of the hall. We haven’t recorded these new standard routines at all except for 2 or 3 individual steps, so it was the first time to see the work I have been doing come together. The waltz (which we have been working on the most) looked the most polished. I can truly say that I am proud of how the waltz looked and I was really surprised by parts of it. Probably for the first time in a very long time I could see a distinct improvement in standard. It was really great to see! The foxtrot was not as strong, but it also showed great improvement, especially the first half we have worked on a lot recently. The last half needs work, but it is not a complete disaster. It’s passable, but obvious that it hasn’t been looked at a lot. The tango was a different story. I couldn’t seem to settle into it, and the position change for tango from waltz and foxtrot really threw me off. We had been working a lot of position in the swing dances and one thing that really helped me and kept me grounded in those dance was stretching back into Boss’s right hand with my left shoulder blade. In tango, because the position is different, that ‘anchor’ just wasn’t there and that caused me to not feel like the position was ‘locking in’. It was obvious watching the videos that my position was all over the place. It was also obvious that I wasn’t completely confident with the steps and in places you could tell I felt a little like I was chasing Boss through the dance. We started on the quickstep, but it quickly became apparent that it wasn’t ready to be recorded in time with the music as we haven’t really worked on it and we have never tried it at speed. We agreed to make it a project for this week in my lessons and to aim to record it next weekend along with some of the latin routines. Today at my lesson, quickstep was indeed the theme. We managed to work through the first few lines to the third corner in time with the music, looking at details here and there as necessary. Honestly, the hardest part was getting started and into the first line as I kept miscounting steps. Once we got going, it seemed to come together a bit better. We finished today with a new conditioning sequence for jive. It’s a challenging sequence with steps straight from my routine, including what is probably the most difficult part of the routine with a combination of turning sailor shuffles and simple spins. It is already coming together better than it was on Friday when I just learned it and I can tell that it is stressing my system (in a good way) more than the samba. It takes longer for my heart rate to recover and it is working my body in a different way. On a final note today, I had my 6-month follow-up with my oncologist. It went really well and quick, with only one “Are you Kidding?” note when he asked if I would like to try the hormone therapy again now that my ovaries have been removed. I think he realized pretty quickly that I wouldn’t even consider it and switched his messaging to acknowledge that I did try it for more than 6 months and I did have a very toxic reaction, which did justify leaving it behind. The good news is that I will see him again in 6 months and after that I will switch to yearly follow-ups with him with check-ups with my family doctor in between. One more step forward. I haven’t written much as work has continued to be crazy busy and that combined with school and trying to prepare to be away has left me pretty stressed. I am off 4 days this weekend and I cannot wait. It’s the first full weekend off I have been going pretty full tilt with work since I returned from the cruise and I can tell that the break is completely needed. With the long weekend the week after and no duty in sight, I will have three 4-day weeks in a row before a really busy push to the end of September. After that, it looks like I will be in Ottawa for a few days before getting ready for the extended work trip after that. Boss has also asked me to consider doing one of the latin routines in a showcase event with one of the other local studios. I am thinking about it, but I am not sure any of the latin routines will be ready in time and I am hesitant to add to my stress levels trying to push to prepare it. Part of my doubt is that I am really not sure where any of the latin routines are at as far as doing them at speed with the music because other than rumba, we haven’t tried any of them. This week we should have a chance and I will make my decision from there. It would be nice to do a performance before I leave. So perhaps next week I will be able to write about how the latin is coming together. I performed a demonstration with Boss last night at a charity fund-raiser. We did a waltz routine which he choreographed on Wednesday and taught to me an hour before the event started. The floors at the hall were a type of rubber and not wood, so needless to say they weren’t the easiest to dance on. Because of that, and a small space we were able to keep our dancing compact and the routine included a lot of line figures. It went really well and seemed to be really well received. We were one of 5 couples doing demonstrations of different styles of partnered dancing (ballroom, west coast swing, blues, salsa, and fusion) to demonstrate how connection works through dancing, the theme of the fundraiser. Doing the demonstration was fun, but it made me realize that I actually don’t remember the last time I performed (other than the competition last year), and what surprised me more was that I missed it. Even though it was more or less a low-key demonstration it was fun and nice to go out and connect with an audience and share dance with them. Aside from the demonstration, it was also fulfilling to learn a routine with some advanced steps in an hour and be able to perform it later that evening at a high level. I think that speaks to and gives insight and confirmation for myself just how much I have grown, even since my last competition. It was a boost I needed after an insane week at work that involved pants publicly splitting, needing antibiotics, and watching my workload surge to the point I will need a couple hours this weekend to catch up and get back on track. It also got the wheels turning in my head on the assignments for my current school course which I also desperately needed. All that from a simple demonstration. I’ve been thinking a lot about dance lately. It started before the cruise and has continued into this week. I think the time away from competing, as difficult as it has been, has been good for me. I can genuinely say that I am enjoying being able to take the time to dig into the details of the routines and steps and movements that I am doing. I’ve been able to connect with my body and dance in a way I didn’t expect. And I really really like it. That’s not to say I don’t want to compete anymore, absolutely I do! But I am not in a rush to do it. I also don’t find I have a need to do it as much as I felt I did before. What I crave most from dance right now is the experience of it. Yes, competing is part of the experience, but it is no longer the main goal for me. Right now, I want to see how far I can continue to develop and grow through dance. I want to keep developing those details, keep pushing myself, keep working to see what I can do. I want to inspire others to dance and to be an example for other dancers to look up to. I have overcome a lot to be where I am right now and I know life is going to continue to throw obstacles at me, whether in dance or other areas of my life. That is just how life goes. By meeting those challenges, that is how we grow and get stronger. I have grown a lot and come so far in dance, and there is so much more of this journey left. But right now I feel my focus in dance needs a slightly different focus. I want to focus more on development. For the past 8 months or so, my dance journey has been focused on me and my development. I haven’t really been able to do that since before I got sick because there was always a competition or test or performance I was preparing for. During that time, that prep and focus on tangible goals was what I needed. I am surprised to discover that I don’t really need that sort of focus anymore. I do still have a need and desire to compete and perform, but it is not as pressing. When I do it, I want to do it to show my progress, and mostly it’s to show that progress to myself. I feel that competitions, and by extension performance (I would much much rather compete than perform) are necessary to help give a limit to break up phases of development. They give a timeline for taking a step back, evaluating, and refocusing. For the past year, I have enjoyed working with Boss more than I have during the 5 years prior to it. We really have come into a solid grove with how we work, and it really is at a higher level than I ever really thought possible, in consideration of the struggles we had trying to get and stay on the same page before that. There is an element of mutual respect I never expected. It makes me optimistic and eager to see where Boss’s teaching will lead me next. I am so grateful that I discovered pro/am, despite the unique challenges it presents. Without it, I likely would have stopped dancing a long time ago and I would definitely not be where I am now. The opportunity it provides me is unmatched. I don’t know what the future holds. I expect at some point my career will take me to a new location and that will mean new dance experiences. For now, I intend to embrace the opportunities Boss gives me as best I can. I don’t know what all those opportunities will be, but I do know I will continue to get fitter, healthier and feel better — which finally brings me back full circle to the main reasons I started dancing in the first place. Before I found dance, I was very lost and broken. Through dance I have become strong and confident. 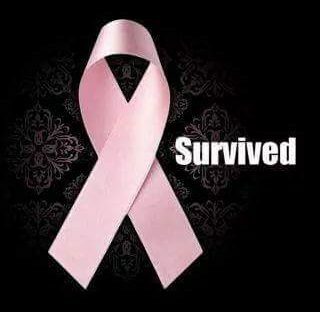 I would never have beaten cancer without it. Words cannot express my gratitude for those who have been part of my dance journey, especially Boss who never gave up on me, even when I seemed determine to give up on dance, myself, and to make it as difficult as possible. This has been such a long time coming. It’s time for a new chapter in dance for me. I am not quite sure where it will go, but I know it will be great and ideas are already forming. Once I can get them organized into some sort of sense, I will present them to Boss and see what he suggests. I’m excited for this new chapter and where it will lead me. Sorry for the delay in writing! I have been busy beyond competing (more on that later) and this is the first opportunity I have had to write about the comp. I did post some pics on facebook if you follow me there (www.facebook.com/bcballroomdancer). Overall, this was my strongest competition since before I got sick. Hands down. That’s not to say it was my best dancing, but I felt prepared, my endurance (for the most part was there), I didn’t feel like I was dying after only a couple dances. I felt like I belonged on the floor and that I was competitive, not just dancing as something to do. I won my closed gold multidance in Ballroom although it was a rule 10 and 11 win (meaning they had to split the tie twice more or less), and I am very proud of that–my first ‘win’ in closed gold! I was also 5th in both open scholarships of 6 couples and even stole a few points from those that placed above me in ballroom. Ballroom was definitely the stronger of the two styles for me at this competition. Considering the amount of work I have been putting into it, it should have been, and it has paid off. I felt quite strong and confident in the ballroom heats, even though endurance was a challenge. I was surprised to see I received a 1 place mark in VW from one judge in a 5-dance championship that finished with the VW. There were a lot of positives for me in standard. It took a round to settle down a little and adjust to things like my dress. At the start I was almost too relaxed in trying to keep myself calm and from trying too hard, but hit a good balance for the other rounds. Boss was really happy with how it all went, and I really have no complaints about standard. Yes, there are always little things, and lots to improve, but I was more consistent and solid in standard than I have been in any previous competition. That was a big win for me! Latin was a much different story, and I am less impressed with my performance there. I had some very high points, and I had some lower ones. In one of my 4-dance gold multi-dances, I didn’t win the event, but I did sweep the rumba. Looking at the videos though, my styling still leaves much to be desired, and I just didn’t seem to be ‘finishing’ all my lines as I danced. My energy level was not where it needed to be for latin and I was having a hard time keeping focused. So I own the less than stellar latin performance. It was good, but not my best. Among other things, I was having trouble feeling settled in my shoes, and I think the fatigue from standard the day before also played a role and upset my hormones a little bit (I was a hot flash queen that day). That said, when it came to the 5-dance scholarship, I just went out and had some fun and worried less about trying to be perfect. One of the biggest ‘wins’ I experienced overall was random strangers making an effort to tell me how much they enjoyed my dancing–seeking me out specifically in the crowd of competitors I was just on the floor with. For me, that is better than a thousand trophies and it happened after events in both standard and latin. The biggest challenge I faced over the weekend was blisters. My shoes started out feeling wonderful, but then in the last afternoon event in standard I suddenly felt some pain. The result was 2 blisters on each foot, one on the heel, the other in the arch (which seemed a strange place). I put some blister pads on them for the scholarship and covered those with tap, but they didn’t stay in place. By the time I got to the latin scholarship, I had 11 blisters, all of which had popped, some of which were bleeding. I knew that breaking in new shoes would cause some problems (even old shoes can) and had taken some measures and preparations, but my feet seemed to just ‘give up’ in trying to keep skin. Even duct tape didn’t help. I am doing a lot of feet soaking these days. My shoes are pretty much broken in now, but I won’t be able to tell until all the blisters heel if adjustments need to be made and where. Despite the blisters, they were more comfortable at the end of the comp. I also had issues with my feet swelling and that didn’t help either. My latin shoes were the strangest to deal with. I had worked with them before I left and they felt fine. But at the comp the heel of my foot kept sliding out and I had a hard time getting the strap tight enough to hold it in place. I am going to have to revisit them. I am wondering if they are too short in the end even though they are the same size as my last ones–but with a lower heel. Hopefully in about 2 weeks I can do a good assessment with fresh feet. The final ‘snag’ in the competition happened at the end of the standard rounds (and thankfully the end!). My dress is stretch velvet and when I am sweaty can be difficult to get the sleeves off. I friend was helping me and when she pulled the arm I heard a ripping sound! Unfortunately, the dress tore just under the right arm, in the fabric just adjacent to the seam. Because the tear is in the fabric, I don’t know if it can be repairable without being too visible. It may be the end for that dress….an expensive tear! In all, I am very proud of myself and how I danced this weekend–even latin. I wanted to be able to get through all my dances strongly, which I did, do well in standard (because of the focus we have been giving it), and enjoy dancing in latin. I achieved that. I know Boss is especially happy with the standard and we haven’t had a chance to discuss latin although we know there were challenges there. We should be sitting down to discuss the plan for the future over the next couple days, but mainly I am taking it easy right now. The exception, of course was that I had 3 coaching lessons with a standard coach yesterday that were a lot of fun and able to build on the competition. I will write about that shortly. I will also write a review of the competition for those who might be interested in competing there some day. I would definitely recommend it and I think we are already making plans to return! Achievement unlocked: Compete strong during recovery! Things seem to be settling down. On the other hand, there are new challenges to face, but I am ok with that. Today, something Boss remarked on is that it takes me about 15 minutes into my lesson before I start moving my upper body in standard and rotating like he asks me to do from the beginning. It’s been pretty consistent that it takes at least 1 round of routines, if not two before I seem to switch ‘on’ and start moving the way I am supposed to. I have a couple theories for this, since it has been drawn to my attention. First, especially on Wednesday, I don’t really have time before my lesson to switch my mindset from processing things from work to processing dance. I go from work to home, feed my cats, pick up my dance bag, grab something to eat and go to dance. I have more time on other days, but there does need to be a bit of a mind change. Second, once I get to dance and into my lesson, it really does take at least one round for my mind to gather and start processing and remembering everything I need to do beyond remembering the steps in the routine. It’s like I need the first round to confirm for myself that I know the steps of the routine, then once I know that I can move beyond the steps to other aspects. It’s something I notice I do during my own practice as well. The first round is to review the steps, everything else comes after that. It’s an interesting dilemma, and I am hoping that now I am aware of it I might be able to move past it. Presumably, once I feel more confident that I know the steps of the routine, I will be able to start focusing elsewhere without that review. The other thing Boss asked me to do is move and rotate my upper body more. To worry less about what my feet are doing and to focus more on what my body should be doing, and doing more of it. I had to give some thought to this and I came to an interesting conclusion–what I usually do when it comes to sway and CBM is basically follow what Boss is leading–and that’s it. What he is asking is for me to move beyond what he is leading–to see it as a signal only to start changing–and to take my own initiative to follow through the entire movement. It’s actually similar to what I had to learn in the steps–especially going forward. In forward steps, I need to do some driving of the movement, so once we start moving forward I need to put some drive into the steps to keep us moving and traveling. It’s especially important in promenade when my path is fairly clear and not blocked by Boss. It’s a completely different mindset from what I have done previously in standard to more or less embrace and use rotation to move. When I first started dancing standard, one of the things I worked on was not moving my upper body to help build stability in my frame. Now I have to get beyond that. It’s going to take some time and work, but the seeds have been planted, and I have finally figured out what is being asked of me. Now, the challenge is almost to reach a point where I am rotating too much. Finally, there was one other major point to tonight’s lesson, and that is to give my mind a physical ‘anchor’ to focus on when I need to close my left side back towards Boss after being open. It seems to be effective in achieving what he needs me to do and my guess is that it’s simply using the dominantly tactile focus of my brain. Give me something I can physically feel to focus on, and generally it works. The interesting thing to come out of tonight’s lesson is that I can already feel my muscles reacting to being used in a different way. Since that was the goal, I take it as a good sign. My body is tired and achy in general, but not in the exhausted, I don’t want to move way. It’s the general tired and achyness you experience after doing a good workout. It’s actually the balance I have been wanting to find. I am getting better at not only reading my body through this recovery, but also responding and knowing when to push it and when not to. For example, after my lesson I stayed to practice today. I had hoped to do a full hour, but after 35 minutes my balance was consistently wavering and my focus was disappearing. My knees were also starting to ache. So, I stopped for tonight. It was the right choice to make and instead of feeling exhausted, I feel appropriately tired. This thought actually brought to my attention how important my post-dance routine is to the entire process. Since returning after my recovery, I have been developing a bit of a routine. Before I head home, I take time to process what I did. Usually I do this through driving, which I find very relaxing and head clearing. Some times I drive for over an hour before heading home–but that seems to be when I am able to examine the questions and points brought up in the lesson and consciously work through them. Once I get home, I have about a 30 min soak in a tub with 3 cups of epsom salts while listening to music and reading my kobo. After that I shower and wash my hair. After the shower is knee pampering (voltaren and tiger balm), brushing my teeth, drying my hair, and if needed, icing my knees. Depending on the time and how I feel, I sometimes go straight to bed to read more, or watch something on netflix to clear my head (or write for you guys!). It’s almost strange to think that all of these things post-dance contribute to dance, but the time and ritual seems to give my brain the time it needs to catch up and process what it needs to. It’s interesting what you discover, when you give your mind an opportunity to slow down and discover it. Hopefully, I will discover the ‘on’ button and get it switched sooner in my lessons next. That is how I feel today. But let me elaborate. It really has not been my day or night. It started this afternoon at work. During lunch, my computer randomly crashed twice and told me that the video card was failing. It made work difficult when each restart took more than 20 minutes to boot up. Then, I was almost hit by a car on my way to dance. Thankfully almost. I was coming out of my driveway on my scooter and there is a large white panel van that parks on the side of the road just next to our driveway. The issue is that the way the road is built, and because it has no windows, the van completely blocks the view to the right. To compensate, you have to look down past all the cars that are parked (about 500 m) to the bottom of the hill and then keep track of the cars you see coming until there is a break. The issue is that there is an intersection and other driveways you can’t see. So even though it might look clear all the way down the hill, cars could turn on to the road without you seeing them. That’s what happened tonight. I was slowly peeking out around the van and discovered a car coming right for me. So I ended up braking hard, losing my balance and falling over, landing mostly on my scooter. Missed the car (which stopped and asked if I was all right), and thankfully didn’t hit anything hard. Cracked the windshield of my scooter in two though when it hit the pavement. I was able to get it upright and started again, and assessed that I had bruised my shins and had a small scrape on one leg. Mostly I was shaken up. Following that, I got to dance. I had received some unexpected news about what to expect for my recovery from surgery yesterday and that has possible repercussions for dance–particularly competing in the fall. Long story short, it could be 12 weeks after my surgery before I will be able to dance, particularly for any length of time without pain and pulling. It’s quite different from the 6 weeks I was initially told to expect. That required a bit of a conversation with Boss, but pretty much at this point I haven’t really gotten to a place where I can completely process this and start to adjust my goals. Again. Until I caught my heel on the cuff of my pants during the quickstep and fell over backwards hitting my left hand and hip pretty far. Also ripped the hem of my pants. That actually hurt more than falling on my scooter. Go figure. In general, I was ok, just bruised. Had to work out my left ankle a little bit, but after rolling up my pants we were able to continue with the lesson and get through the Quickstep. We followed that with Viennese Waltz. We did a full minute of that, but I was really dying after 45 seconds. We ended with a section of foxtrot I was blanking on a bit to review it, but by the second run through of that I could tell I was pretty done. One comment Boss made tonight and my last lesson is that he is finding my endurance is improving, and the most significant thing is that when I get tired I am better able to compensate instead of just completely sinking and collapsing. It’s good to hear because compared to where I was before I got sick and had treatments I would say I am about half where I was–especially in VW, QS, and Jive. Cha Cha can also be questionable sometimes. What’s a little disheartening about that is after up to 12 weeks off to recover from surgery, I am going to have to start over on a lot of things–rebuilding endurance being one of them. I have been there before though and my focus right now is to try and build as good a base as I can so hopefully there will still be some when I am ready to come back. I really hope the falls tonight won’t result in me waking up broken tomorrow. I also wrenched my shoulder trying to open a door (seriously–how does that happen?? ), burned my hand on coffee and spilled it in my scooter case. All signs I should have just call it a night. I didn’t though, I stayed for practice and was able to run through all my routines on my own except paso. I had a long epsom salt bath after so hopefully that will head off some of the bruising coming my way. As far as the test, I still feel pretty good about it aside from the endurance issues. I have most of the routines down and that is helping my confidence. Fingers crossed my body holds out till then. I discussed with Boss tonight the idea of filming the routines during the test. It will be up to the adjudicator, but I am hoping we will be able to. It’s been almost 6 months since we recorded anything, and at least according to Boss there has been a lot of changes. I toyed with the idea of filming them before the test, but I don’t want things I may see in the videos to distract from the test, or to kill my confidence. While probably things will look better than I expect, I don’t want to risk that they might possibly look worse. Better to keep going the direction I am going at this point, and evaluate later. After the test, I have 4 weeks until surgery. Mainly, I want to get all the gold routines laid out and if possible filmed so I have them to refer to while I recover. One of the things I want to have a look at (and should be able to) is to figure out the styling for latin and put together some ideas where needed. In all honesty, I think that is the main part missing from the silver latin routines, but I am trying not to let myself worry about that. Hopefully, tomorrow will be a better day. I am not sure why I feel so frustrated with my latin technique tonight. I do have a theory that perhaps it is just the late hour of the class (8 pm is late for me these days), coupled with an extremely busy week at work (it’s not over yet!). The end result being that I feel like I couldn’t do anything right tonight during the class–even though I know that is not the case. Its almost like a mini ‘crash’ after the class. Usually I feel pretty good about my latin technique. While there are some things I struggle with a lot, there are others that come more naturally and no matter what I do, my hips definitely move. The adjustment I have been making to my posture is becoming more ‘mainstream’ but I have to stay on top of it. I am at the point where I ask myself if I am forward and discover that yes, I am. Tonight in general I think I was just having endurance issues. It’s hard to explain but I felt like everything just lacked in strength compared to how it usually feels, and my body just wasn’t as responsive as usual. It wasn’t a lack of trying, but it just seemed to be ‘off’. I think because of that, the things that usually frustrated me just ran a bit rampant. By the end of the class my frustration level just seemed exceptionally high. One thing that is just a constant source of frustration for me is jive. I have mentioned before it is like my latin achilles heel dance, as it is the one dance where on the one hand things work out well naturally, but on the other I really have no idea how I do any of it. And there there are some things which I have no idea how to do and quite honestly it looks ridiculous when I try. I think I am getting in my own way by trying so hard I am actually preventing my body from moving in the way it needs to. That’s said, it feels like everything I am doing in jive is really ‘loosey goosey’, when it should be more tight and compact (because of the speed). Some time jive just feels like the dance I never work on. The little bit of technique I have done in jive has been a little ‘here’ and ‘there’ and very spread out. I have never concentrated on it–even at a basic level. To be perfectly honest, my frustration and feeling of lacking in jive really makes me reluctant to do it right now. I feel that compared with the amount of time and work I have spent on the other 4 dances my jive is woefully behind. I am hoping this is just the result of a long week and fatigue and that it will pass in time. The other thing that keeps popping in my mind is that I might not have the endurance for my medal test. I am feeling a little overwhelmed with the idea of doing 10 dances in a row because its been so long since I have actually done that. I guess I am not feeling really confident in my strength right now. I get my injection tomorrow, and I hopeful that with it some of these frustrations will pass. I am also a bit stressed that I will have some mood swings following the injection as my body gets used to it again. It’s hard to know what is real and what is just side effects right now.